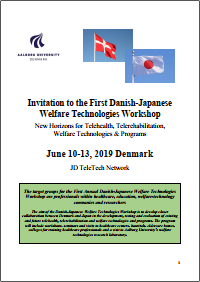 On behalf of the JD TeleTech, we would like to invite you to Aalborg, Denmark for the First Annual Danish Japanese Workshop on Welfare Technologies: “New Horizons for Telehealth, Telerehabilitation and Welfare Technologies and Programs”, to be held in Aalborg, from June 10-13, 2019. 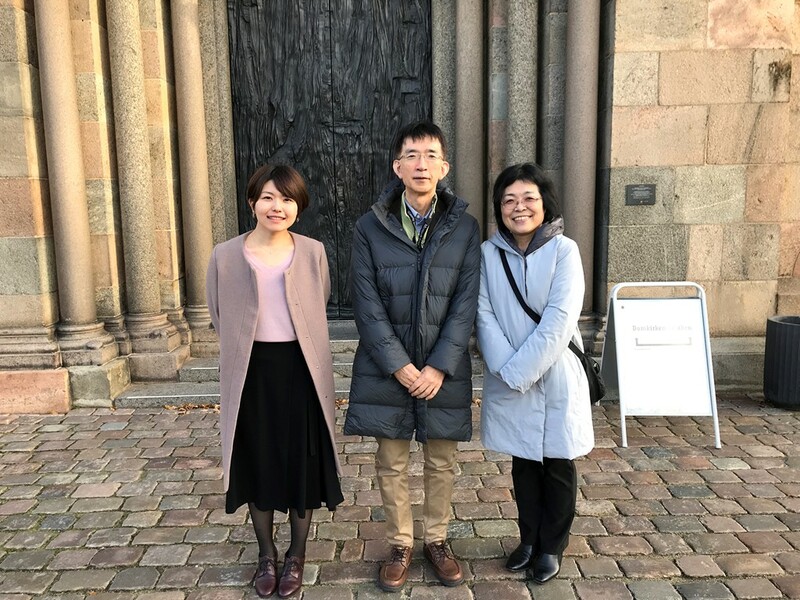 To present to our Japanese colleagues the structure and everyday operation of the Danish health system within elderly care, disease management for patients with chronic diseases and social welfare. Detailed information, program and link to registration will be available here. Workshop participation is free of charge. There is no registration fee of any kind. Participants must cover their own travel and lodging expenses. During the workshop there will be free transportation to special activities in the towns of Viborg and Skive. Registration before May 17, 2019 Registration for workshop activities is mandatory. We are looking forward to seeing you in Aalborg. 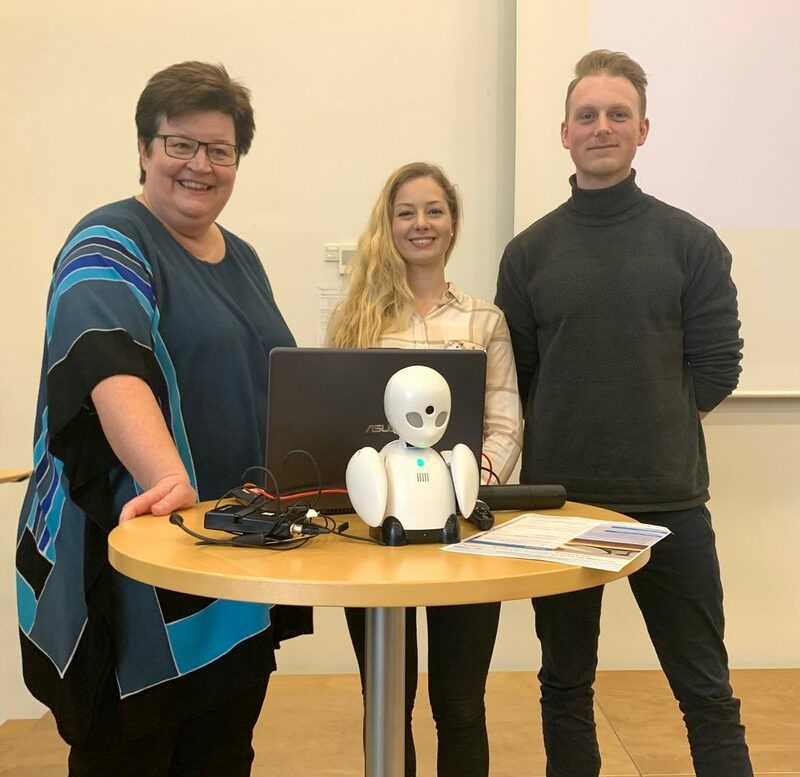 Professor Birthe Dinesen was invited Friday March 22 to give a presentation on “Teachling, learning and new technologies within healthcare” at Aalborg University Hospital to 160 healthcare professionals, who are supervising students within nursing and nursing aids. As part of the presentation two masters students in Clinical Science and Technologies, Francine Carrara and Stefan Vikkelsø Pedersen, presented the avatar Orihme from Ory Lab in Japan. They are testing the Orihime within social psychiatry in Aalborg Municipality. 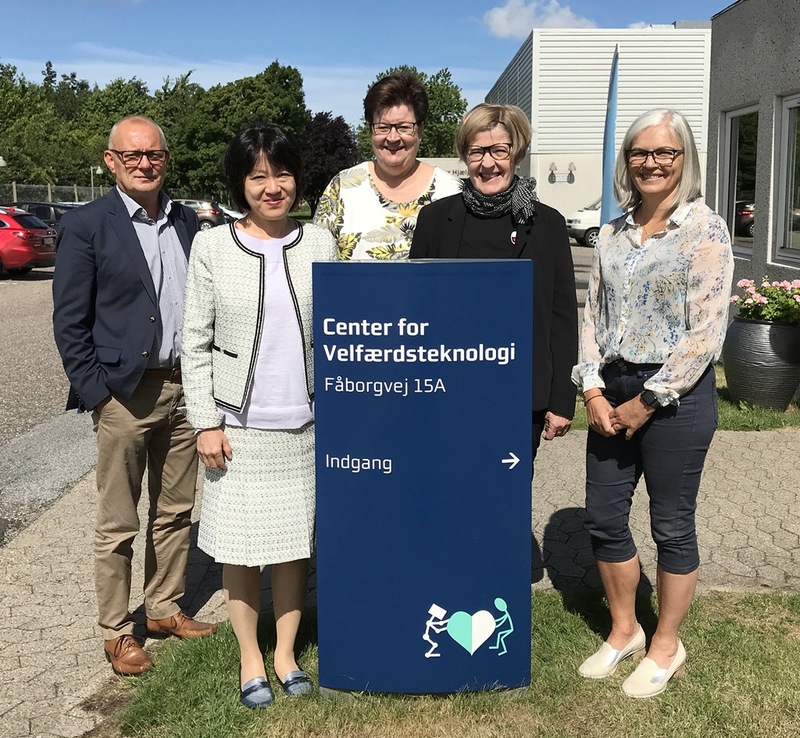 April 8-12 Professor Birthe Dinesen, Aalborg and Skive Municipalities are visiting Japan in order to plan the summit “New Horizons for Telehealth, Telerehabilitation and Welfare Technologies & Programs” in Aalborg June 10-13, 2019. 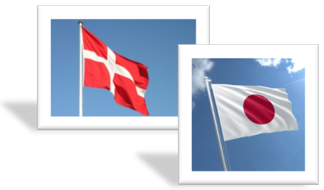 The Japanese Danish TeleTech Network (JD TeleTech Network) is hosting the workshop in June. 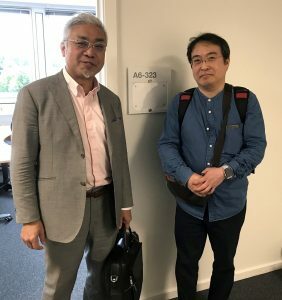 The Danish Agency for Science and Higher Education has given a grant to the Japanese-Danish TeleTech Network (aka JD TeleTech Network). The grant will be used for a workshop in Denmark spring 2019 and a workshop in Japan fall 2019. The aim of the workshops is to facilitate new innovation and research projects between academia, healthcare professionals and industry. We are looking forward to create synergies between the two countries within telehealth research. 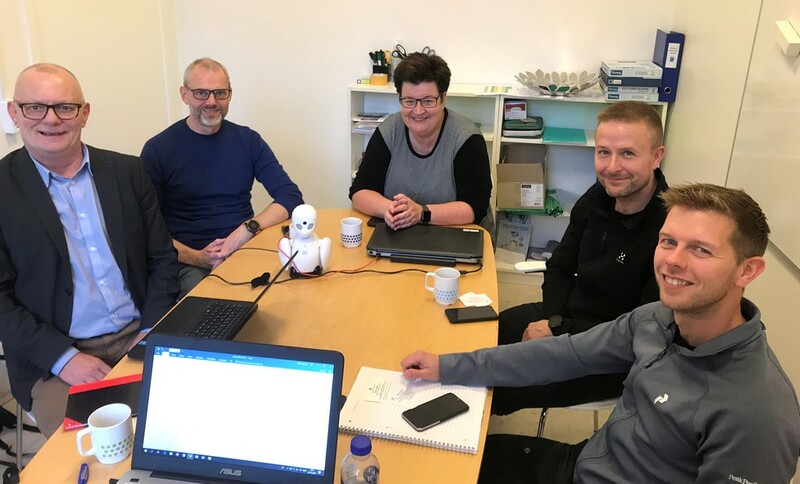 8-12 november 2018 Teijin ltd (JP) visited Aalborg University to initiate a new collaboration with Laboratory for Welfaretechnology – Telehealth & Telerehabilitation. They also visited the Cardiology Ward at Viborg Hospital. The Japanese company HiCS will from October 1st 2018 establish a Danish branch of their company at NOVI close to Aalborg University to collaborate with Laboratory for Welfare Technologies within telehealth. We are looking forward to the collaboration. The social robot “OriHime” has now arrived at Aalborg University in Denmark. 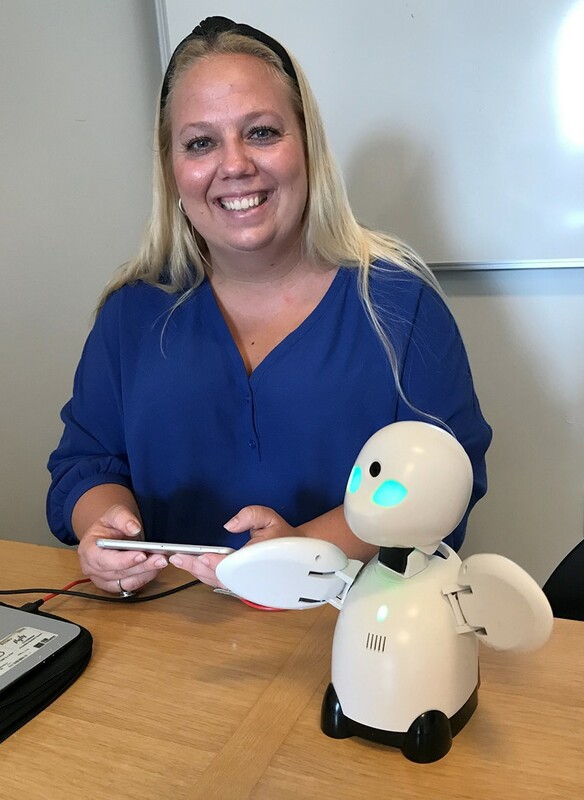 Maria Juul from Ory Laboratory in Japan delivered the robots to Laboratory for Welfare Technology – Telehealth & Telerehabilitation Monday September 3rd. 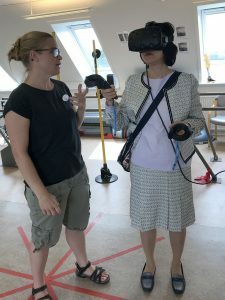 We are going to test the OriHime in collaboration with the Speaking Institute and Brain Injury Center North Jutland in the Municipality of Aalborg. There will be defined activities for the fall such as webinars eg. user-driven innovation, workshops, upstart of working groups within the JD TeleTech Network. Please keep an eye on this homepage. Dr Tomoko Kamei from St. Luke International University i Tokyo in Japan is visiting Laboratory for Welfare Technologies – Telehealth & Telerehabilitation at SMI for two weeks to learn about telehealth. At the picture Dr Kamei is visiting the Rehabilitation Center in Aalborg Municiplity and trying VR technology.